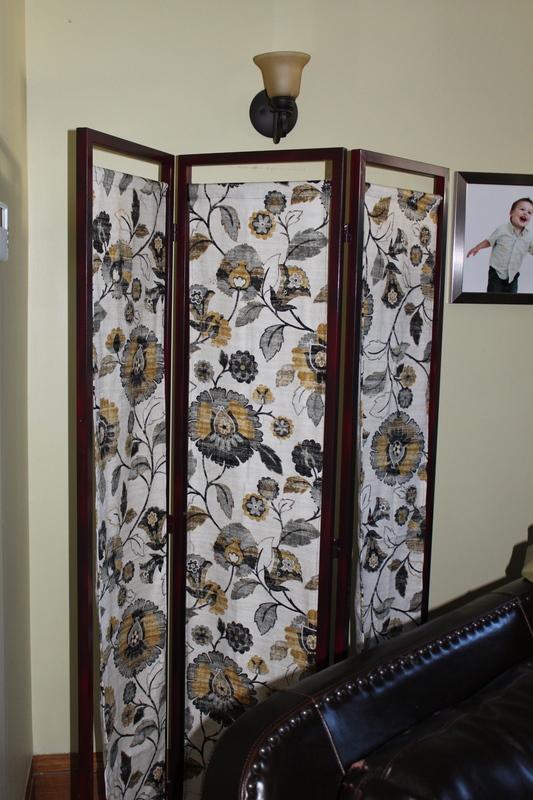 We bought two second-hand screens (room dividers) in 2006. I liked them, but never really loved the fabric on either screen. I was always on the lookout for a more modern look and finally found a fabric when we were down in the states last winter. (By the way, Joann’s is always on my list when I go shopping in the states. There is a much better fabric selection and often really great sales.) Such was the case with this fabric. I can’t say that I saw it and instantly thought… this is exactly what I have been looking for, but the price was right ($35) and I liked it. This is the original screen. The fabric is okay, but quite traditional. This is actually the fabric from the other screen which has been sitting unused in our basement. You can see all of the velcro I removed. I purchased enough fabric to replace the three panels on one screen. The panels did not have two “good sides”, so it was meant to be placed in a corner or against a wall. I don’t need it to divide an actual space, so when purchasing the fabric, I only purchased enough to cover one side of the screen (like the original). 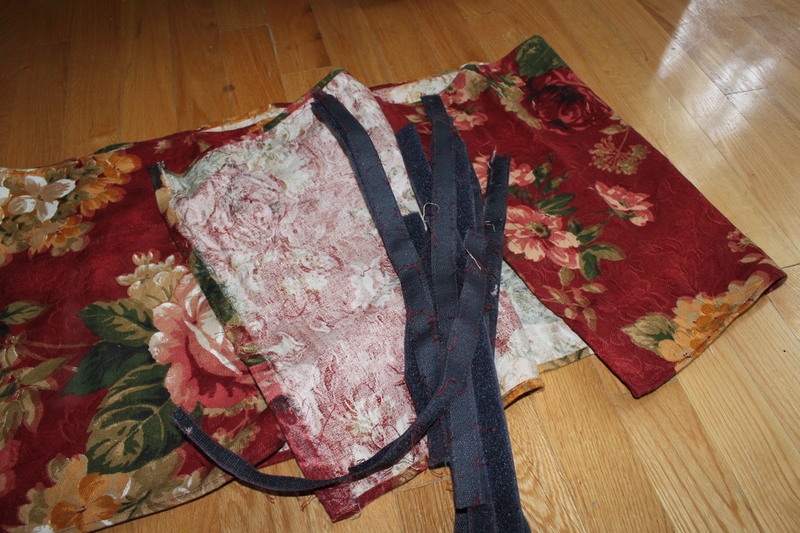 This is a fairly simple sewing project. It basically consists of creating a finished seam all the way around each of the large rectangular pieces of fabric and then adding velcro to attach them to the screen frame. I used the old fabric from the screen as a guide for my measurements and even removed the velcro so that I could re-use it on the new fabric. 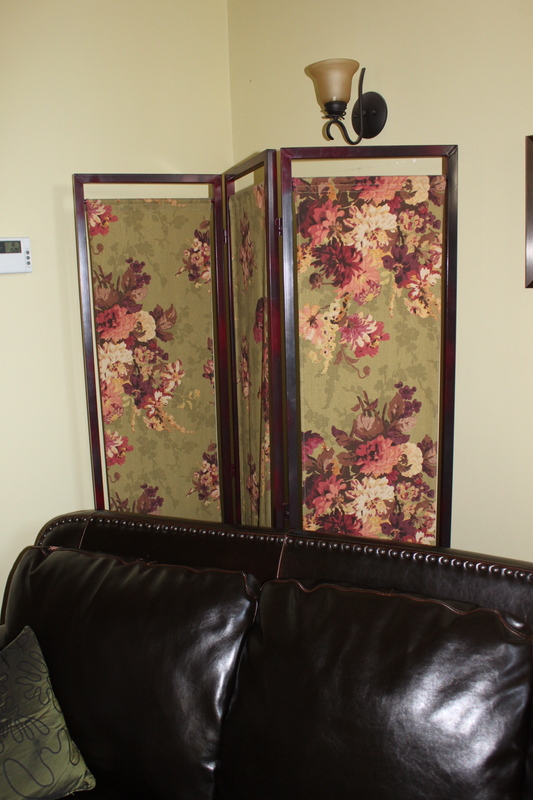 Posted on September 25, 2013 by Cindy Roy •	This entry was posted in DIY and Upcycling, Home Decor and tagged design for less, DIY projects, home decor, room dividers, room screen, room screen upcycle, simple upcycle project, upcycled room dividers. Bookmark the permalink.